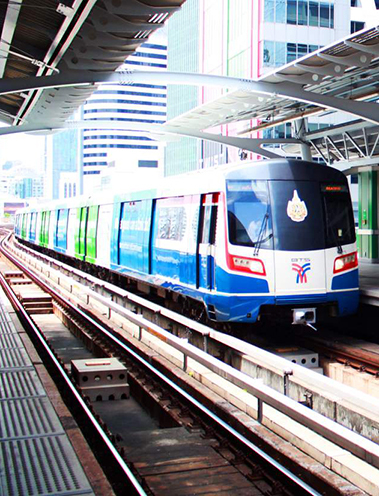 This modern skytrain is the best way to avoid Bangkok's traffic jams! 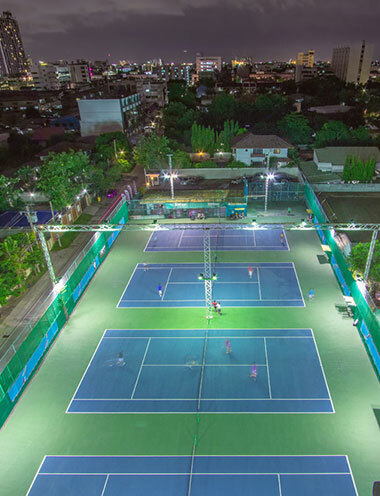 It connects many attractions, grand shopping malls.It is very convenient, which is steps away from Bang Chak Station and On Nut Station. Simoorgh Tennis Academy, fitness center, which full large 4 tennis courts daily open from 6am - 10pm. 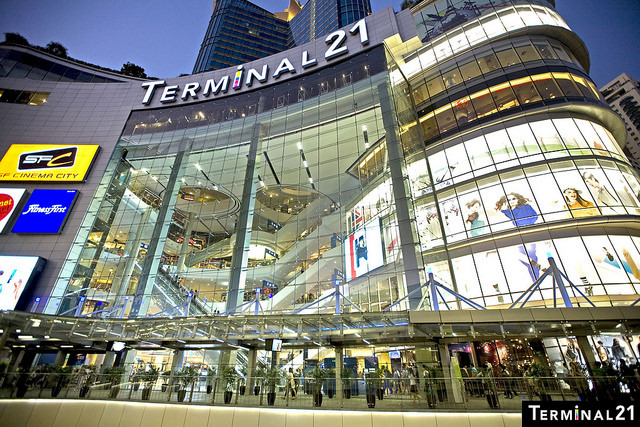 Terminal 21 is to the whole new experience of shopping with Market Street Style. We combine unique destinations from around the world such as Rome, Paris, Tokyo, London, Istanbul, San Francisco and Hollywood into one fully-furbished department store. Enjoy a perfect combination of fashion, food, and film, with more than 600 shops for urbanistas including the famous Urbanation. Easily reached by both BTS and MRT train service. 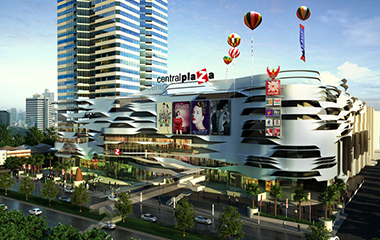 CentralPlaza Bangna is situated in the east side of Bangkok, near Suvarnabhumi Airport, and with rapidly growing communities. It was designed to be an all-encompassing city within a city, comprising of a six-story shopping complex. 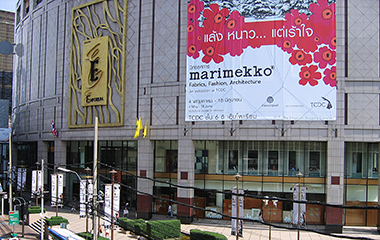 Upmarket mall with department store, designer boutiques, book- stores, restaurants (Thai, Chinese, Japanese and Italian etc.) SFX Cinema on 6 th Floor and international supermarket. 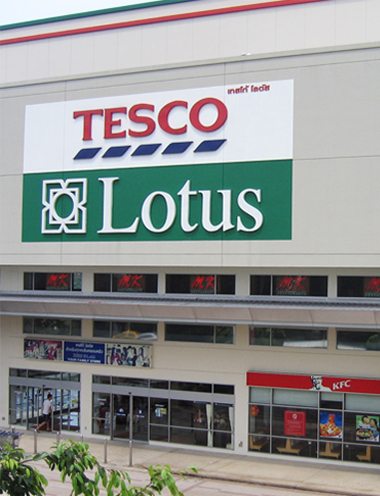 Superstore containing housewares, clothing, supermarket and fast food outlets. 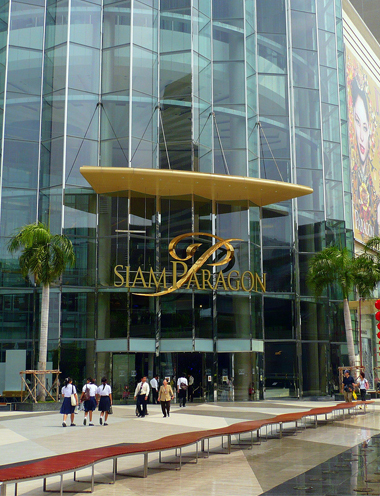 Siam Paragon is an area of over 500,000 square meters , complete with shops leading Thailand and international brands around the world, with over 250 stores covering the needs of our customers and all visitors . side Whether it is the center of fashion jewelry and watches , beauty centers , restaurants and entertainment centers , restaurants .